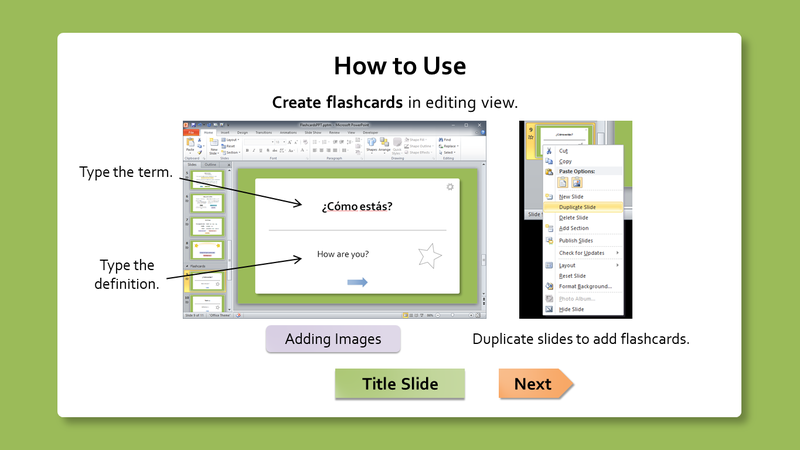 Your next exam, made easier to study for with PowerPoint. 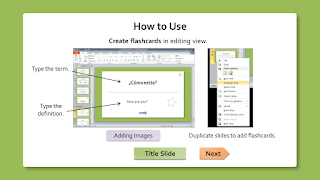 Create flashcards using PowerPoint's editing view. You can use text and/or images. 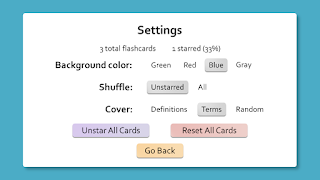 In slide show view, randomly shuffle your flashcards to test your memory. 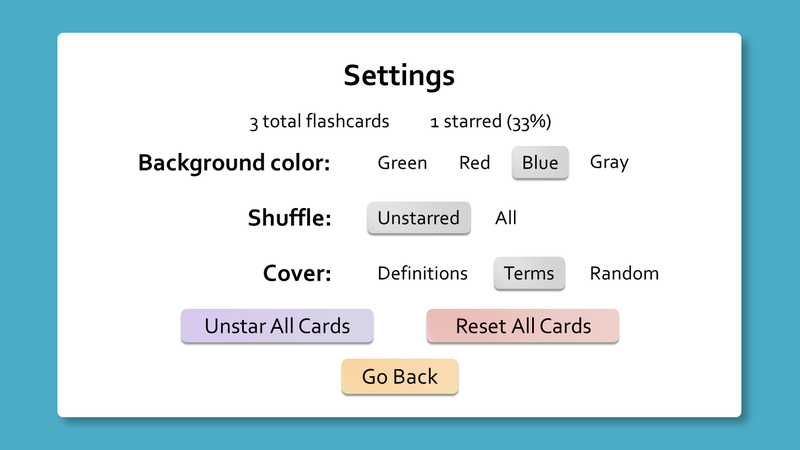 Control how your flashcards shuffle and display with built-in settings. Includes sound effects and a star system. 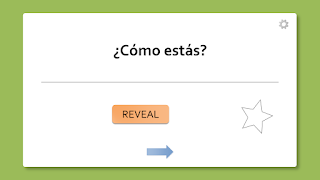 Rather than simple randomization, Flashcards for PowerPoint shuffles the order of your cards. This ensures that you'll see all of your cards once before a card you've already seen appears again. Can't think of any flashcard ideas? Try this example set about the Periodic Table of Elements (up to Uranium). You'll need to enable macros for this project to work. To help you freely create and share your flashcards, this project uses the Creative Commons Attribution 4.0 International License. This means you can distribute and adapt this project for commercial and noncommercial purposes as long as you credit Games by Tim for the original work. Tab names look different? Here's why.